FlyTLAB cares a lot about their products, and that is why they have chosen their slogan to be "Get Lifted". The company is famous for sponsoring parties with acts such as Rick Ross and French Montana. In addition, their vaporizers also aspires to raise the bar for the whole vape industry. 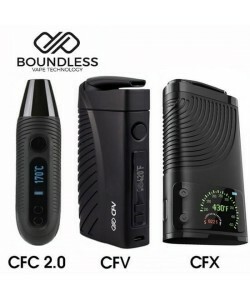 Latest releases include the Coil Infused Ceramic Oven Tech convection system which provides a true vaporization and modular design that includes an air and a water chamber for cooler, smoother clouds. FlyTLAB brand also offers e-liquids and many replacement parts for their herbal and concentrates models. See below description of every model offered. FlyTLAB is a company that strives to create long-lasting portable vaporizers that can be used for dry herbs, e-liquid, waxes, and oils - and sometimes all three at once. An innovative company, it creates durable, high-powered handheld vapes that use high quality materials such as ceramic heating elements and high quality exteriors to ensure a durable vaporizer that can last for many sessions to come. You don't always want to just sit at home to enjoy your herbs, especially when there is a whole world out there waiting for you to explore. It's only natural that you are curious and inquisitive, and the FlyTLAB engineers understand that passionate wanderlust. That's why they have created one of the most compact portable herbal vapes on the market! Lift vaporizer fits easily in your hands and pockets, making it perfect for on the go use. The FlyTLAB LIFT features three adjustable heat settings to let you vape your way, even when on the move. The low setting runs between 365 to 375 degrees Fahrenheit, the Medium setting runs between 395 to 405, and the High setting runs between 415 to 425 for ultimate control. This vaporizer with a signature smart heating system features a ceramic infused coil that distributes heat evenly throughout the dry herb for more efficient vapor production. A retractable glass mouth piece lets you pack your material down in the middle of a session for ultimate efficiency and convenience. The Lift is a herbal vaporizer that is portable and compact. It uses a one-button operation that makes it simple to fire and simple to cycle through the three heat settings taking only 60 seconds to heat, making it an excellent device for vaping whenever the mood strikes. Backed by a 10-year warranty, it is ready for you to take home - order yours now. A lot of brands claim that they offer the most unique thing on the market, but none of them - none of them - can do what the FlyTLAB Fuse Vaporizer can do. It's main feature is its fusion technology, which allows you to load not one, but two, refillable cartridges with wax, oil, dry herbs or eliquid into the chamber at once and vape 2 different or similar materials simultaneously. Ever wondered what your favorite e-liquid would make your oil taste like? Well, wonder no more. The Fuse is perhaps one of the most notable of the vapes from FlyTLAB team. It's the first electronic vaporizer that allows users to fuse e-liquid, dry herbs, and wax together in order to vape them all at once using different cartridges. Pocket friendly and small, you can enjoy all of your favorite things on the go without turning a single head. The FlyTLAB Fuse features a sleek design that has no power button. Instead, it has an intuitive operation system that detects when you are taking a pull from the mouthpiece and activates only then, helping to conserve battery life like an expert. This is a conduction style, multi-use device that only needs an impressive 5 seconds to heat to the necessary temperature. Due to a reasonable size it can also be taken with you, whenever you are on the go. Accessories included with the kit but not limited to, are a USB charger, refillable cartridges and cleaning tools, plus a 10-year warranty. Ready to experience true fusion? Order your Fuse Vaporizer above. Are you tired of vapes that just don't seem to do what you want them to do? Take the wheel back and switch to the FlyTLAB H2FLO Vaporizer! Never before have you been able to control your experience like you will be able to with this incredible invention. The H2FLO features a special chamber that generates vapor very quickly. Combine that with the special air flow attachments and you can control the strength of each and every individual draw you take. The included water attachment lets you moisturize and cool every delicious, potent hit to ensure your comfort and satisfaction. Combine the vapor chamber, flow control and water chamber attachments together for the ultimate unforgettable experience. The H2FLO Elite uses three optimized, adjustable temperatures that allow the coil-infused ceramic oven to produce convection heating that provides vapor with no risk of combustion whatsoever. Portable and simple to operate, this dry herb vaporizer is excellent for taking with you anywhere. H2FLO vaporizer features a unique Oven Tech convection heating system along with four distinct modes and 4-minute auto shut off. With a short, swift heat up time of 60 seconds and a guaranteed 10-year warranty, what's stopping you? Q: How do I clean the H2FLO ceramic oven? A: Use the cleaning brush after each use to brush away any material baked onto the atomizer. You will occasionally want to dip a Q-tip into isopropyl alcohol and run it around the oven to thoroughly clean it. The metal lid of this unit can be removed to be cleaned separately. Q: How do I check the battery life on the H2FLO? Q: How does the H2FLO vaporizer function? Different from regular combustion pens that use a burning coil, this unit uses a ceramic oven that cooks your dry herb to one of the three variable temperatures available. Once heated, the ingredients are turned into a vapor that is smooth and flavorful. Q: How do I load the chamber? A: To load up of these great devices, simply unscrew the heating chamber and loosely load the material into your vaporizer. Ensure that the heating chamber isn't packed too firmly to prevent restricting the flow of air. Once you have loaded the chamber, you just screw the top of the chamber back onto the vape. FLYTLAB offers a 10-year limited warranty on any defects in workmanship from normal use. This warranty does not cover any damage from abuse, accidents, natural disasters, misuse, or in the event of the vaporizer being stolen. This warranty also will not be valid if any piece of the product has been modified or has cosmetic damages. Great job FlyTLAB - Review by Virginia J.
I got my FlyTLAB Lift a few days ago and it is a really great product. My first impression has really been impactful and I love the tastefully designed packaging. I love the cardboard box and how thick and durable it is. The layout of the foam and the velvety layer is impeccable. They show off the craftsmanship of the product really well and make it feel super luxurious. It is also nice to have a tailored little box that lets me store my vape in because it is really handy. Not to mention that the actual vape itself feels really great. Really durable - Review by Jacob A.
I was happy to find that the FlyTLAB comes with its own o-rings inside of three little baggies. It was really thoughtful because I may need different sizes like they included for my extra mouth pieces and chambers. The weight of the FlyTLAB vaporizer is really durable and nice. It adds a premium feel to the vape. I love how simple it was to operate and fill. After the little bit of warm up time, it was easy to pull out a really generous amount of vapor. Smooth vapor - Review by Donte B. It is great with its unique chamber and how evenly it heats the herb. It does not scorch or burn it and instead gives me a nice even hit. This FlyTLAB vaporizer also delivers impossibly smooth vapor that does not burn like a lot of others do. Comfortable - Review by Tessa M.
The draw resistance is so low and comfortable, Lift feels as natural as breathing in air. Overall exceptional vaporizer - Review by Carlos R.
The only thing that I will say negatively about this FlyTLAB vaporizer is there is no RoH5 compliant indicator on the manual, package or unit itself and you are able to tell that it is being drawn through the electronic components of the FlyTLAB vaporizer. Even so, I let it go through a cool down period between each cycle and allow it to get cooled down before I load it. Overall an exceptional vaporizer. Best value - Review by Jeffery L.
The FlyTLAB Lift is my daily go to vape. I love that it offers different types of vaping like on the go, air chamber and a water pipe version. It is a true vaporizer that has yet to burn my material and is incredibly smooth and great tasting. The clouds are so smooth and thick and that is something that is hard to find with most vaporizers. This is the best value for the money. Smooth vapor - Review by Ada E.
The FlyTLAB vape is a great vaporizer and is amazingly well made. It offers really smooth vapor and a pleasant draw each time. Well-made - Review by Michael M.
The FlyTLAB vaporizer is big while still being small enough to be portable. It is a well-made, reliable vaporizer that is easy to take anywhere with me because it is pocketable. The Lift is one that I recommend to anyone. Fun vape - Review by Ricky A. If you are a vaporizer collector, the H2FLO vaporizer is one that you need. It is a fun vape to use at parties and its uniqueness factor makes everyone want to try my vape. Great vape on the go - Review by Mark B.
I have been shopping around for quite some time before I landed on the Flytlab Lift. I am so glad I chose it. It does not get hot to the touch no matter the temperature setting and is always great for a quick vape on the go. Best personal vaporize - Review by Roger M.
I think it is best as a personal vaporize, because the Lift vaporizer would not really last for a session with two people. Thrilled with Lift - Review by Tiffany M.
I am thrilled with my purchase of the Lift vaporizer. The only gripe that I have about this vaporizer is the battery life. It is a bit short but still reasonable. Top best vaporizer - Review by Darren J. The Flytlab H2Flo is hands down the best vaporizer I have ever owned. Beyond happy - Review by Robert T.
The Flytlab Lift is a really great product over all. This vape is simple to use even though the manual uses really vague and unclear terms. I had to experiment with the airflow to get the right size of clouds, but once I figured it out, I was beyond happy. Minimal smell - Review by Mark S.
It gives off great taste, minimal smell and a lot of cool vapor at one time. Great - Review by Shawn R.
Minimal draw resistance - Review by Elizabeth W.
I love the minimal draw resistance as it makes the FlyTLAB Lift really comfortable to hit for long periods of time. Large vapor production - Review by Denise R.
This Flytlab Lift gives me much more vapor production than any other vaporizer that I have used of this caliber with very little effort. Excellent - Review by Linda C.
The cloud production is excellent and it does not hold back in terms of potency. True love - Review by Herman M.
I loved H2flo from the start. Massive clouds - Review by Jose K.
I love the massive clouds the H2Flo gives me. It is really hard to find an herb vaporizer that actually does this as most of them give off wispy clouds that are not fulfilling. That is not the case with the FlyTLAB H2Flo. Does not disappoint - Review by Josephine B.
I always look at the build of the vape when I first get a new one, and this Flytlab H2Flo did not disappoint. It is built sturdily and fits comfortably in the hand; I don't think I will be dropping the Flytlab H2Flo and shattering it any time soon. Doesn't get old - Review by Kerri L.
I have been using it literally every single day and every day I am just as impressed with it as the day before. It doesn't get old or boring at all. Recommended - Review by Steven L.
I have recommended this vaporizer to every single person I know that vapes or smokes herbs. I love it. Truly amazing - Review by Irene J. The FlyTLAB H2Flo is truly amazing. I have tried a lot of different vapes but this one takes the cake. The combination of the filtration chamber paired with the ceramic oven means that the taste is out of this world. I have never tasted anything quite like this vape. 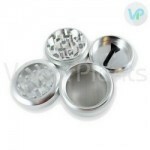 Impressed - Review by Stella G.
I am really impressed with the Lift vaporizer three heat settings as well. I can use any of these settings with optimal results. Easy vape - Review by Theresa W.
Simple to load and it is easy to clean out. Well done! - Review by Jack S.
The mouthpiece of the FlyTLAB Lift does not get too hot which is hard to find in a vaporizer. Made out of ceramic and metal - Review by Lula B. The top that unscrews makes it easy to get to the heating chamber, which is a problem I have had with a lot of other vaporizers, and I love that the top is made out of ceramic and metal opposed to plastic like a lot of others. Never irritates my throat - Review by Patricia C.
H2Flo reminds me a lot of a water pipe, and the vapor is cool because of it. It never irritates my throat and is overall a great vape. Great vapor quality - Review by Paul H.
The Flytlab H2Flo is really great in terms of vapor quality. It gives me great clouds that are super smooth and comfortable. One of the best vaporizers - Review by Laura R.
This is a fantastic product. I bought it for taking with me out of town and I have not put it down since. This is one of the best vaporizers that I have ever used. The long battery life is excellent and I don't have to constantly charge it. Real easy to use - Review by Tyrone B. The Flytlab Lift is one of the first vaporizers that I have tried from this company and I am in love. It feels great in the hand and is real easy to use so that I don't have to fumble around with it every time I have to use it. I would give it a 9 out of 10. Tastes great - Review by Glenn M.
It tastes great and offers decent vapor and the price is right for what it can do. I think it would be good for beginners as well. Material gets used - Review by Charles S.
I use it daily and can go through all three of the temperatures in a single session which seems to make the vapor come off even better as the session goes on and the material gets used. H2flo gives me big beautiful clouds and an excellent tasting flavor every time. Best vaporizer - Review by Eric J. This is hands down the best vaporizer that I have ever used for my dry herbs. The water chamber makes H2flo hit so smoothly and I have honestly never tried anything like it before. Everyone always asks me questions about it so it is definitely a great party piece to use. Stealthy - Review by Chuck M.
I recommend the Flytlab Lift for those who want something stealthy while they are vaping. Tastes great - Review by Dab L.
The FlyTLAB Lift is a vape that I've had for a few months now and have yet to regret my purchase. It tastes great, feels good in the hand and is simple to keep clean. The two minute shut off is kind of annoying but I understand why it is there. Works well - Review by Lorraine F.
The Flytlab H2flo is great looking and it honestly works as well as it looks. The vapor is really smooth and does not need a huge draw in order to get some good clouds going. I love the low draw resistance and cannot say enough good things about this vape. Build quality is excellent - Review by Whitney J. The FlyTLAB H2Flo is one of the best values for the money and definitely does not leave anything to be desired. The build quality is excellent and I don't feel like I am going to break it. The battery lasts for a decently long amount of time so I can't complain. User friendly - Review by MJ P.
The Lift vaporizer is really user friendly and it looks great. I love the ease of use that comes with cleaning it, and it is ideal for taking with me when I leave the house. This is something that I was looking for and I definitely found it with the Flytlab Lift. Easy to use - Review by Carlton P.
As a first time vaper, I was pleasantly surprised to learn how easy to use the Flytlab Lift is. I didn't want something too complicated but I wanted it to hit right, and it really does. I'll never go back to smoking herb ever again. Great battery - Review by Stephen M.
The Flytlab H2flo battery life is great. 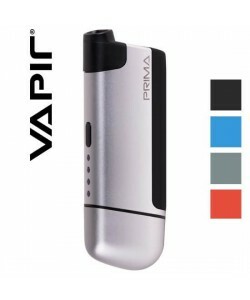 Buy this vaporizer - Review by Bradley J. The battery life on the Flytlab H2Flo is great. I don't feel like I always have to carry a charger around with me everywhere I go with this unit. It is really smooth and gives me great clouds no matter what. I definitely would buy this vaporizer again if I needed to. True vaporizer - Review by Rickey A.
H2Flo vaporizer is a real and true vaporizer that does not combust. The smooth clouds are large when I want them to be. Great flavor - Review by Donald P.
The Flytlab H2flo really has a great flavor with its unique oven. It tastes pure and clean and does not seem to irritate my throat at all. Really easy to use - Review by Shirley D.
I think that the FlyTLAB Lift is really easy to use and does not come with a huge learning curve which is important for me. Taste the vapor - Review by Erica J. With the Flytlab Lift, I actually get to taste what I am vaping. 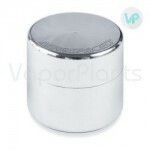 It does not dilute its flavor like a lot of other vaporizers do with their vapor paths. Lift is incredible - Review by Weed L.
The vapor that comes off the Flytlab Lift is incredible. It is flavorful and smooth but does not leave much in the way of a lingering smell which is great for taking it with me on the go. The vapor production is just right as well: smooth, cool and abundant. Vapor is super cool - Review by Mary D.
The FlyTLAB Lift is one of the best portable vaporizers that I have ever used. I grabbed one the other day and have not yet put it down. It heats up much more swiftly than I'd anticipated it would. The vapor is super cool and does not burn my throat. Three vaping options - Review by John T.
I love the way that you get three different types of vaping options when it comes to the FlyTLAB H2Flo. This makes it great for choosing the way that I want to vape when I use it each individual time, making it feel like a brand new experience with every session. Must practice - Review by Clara C.
It takes a little bit of getting used to with what I would call its learning curve but it is more than worth the effort. No waste - Review by Lester R.
The H2Flo vaporizer really uses all of the material that I put inside of it so that I know nothing is going to be wasted. New favorite vaporizer - Review by Bessie C.
The FlyTLAB H2Flo is my new favorite vaporizer. It is build solidly and has really great airflow. I love that it has the cooling chambers even though the vapor is super smooth even before it hits that point. I like the Flytlab H2flo best on its medium setting, I think. FlyTLAB H2Flo heat technology really makes a big difference. I bought this after testing it out at a friend and even if it was way over my budget, I’m very happy with it. I’m using it daily and it could easily compete with a medium priced desktop vaporizer, the clouds are thick and nice. Fuse is clearly not the best looking vaporizer out there but honestly, this works just like it’s supposed to. It heats up almost instantly which was one of the things I was looking for. The best part about it though is its size, it fits in your hand easily. Easy to use, regardless if this is your first vaporizer or not, and the vapors are tasty and strong even at a lower temperature. Great performance, this is way more efficient than I expected. It’s great that it has a super high max temp but I don’t go as high as that as I hate it when I get that slightly burned taste. No fancy display or extra features, just the power on button and the temperature dial, that’s it.